Dead Space is my perfect game. As I write about it, I realize it is almost surely my favorite game of all time. I’ve replayed it five or six times, which for a game of this length is no half-measure. What brings me back? That’s hard to pin down. It is an overwhelmingly unpleasant experience. I can’t play more than two chapters or so in one sitting. If ever there were a central thesis game for this series of essays on survival horror, here is the heart (or heart-like organ) from which life extends: a game that perfectly shorthands the non-fun experience made fun-manifest; i.e. if I do not enjoy playing Dead Space why do I keep playing Dead Space? A mere couple hundred years in the future, mankind is out colonizing the stars. Or, in traditional mankind ways, we’re really mucking it up for profit. Each uninhabitable planet we encounter becomes a potential paycheck for planet-cracker ships that, as the name implies, do the cracking of planets – basically exactly what the Vogons do to Earth in Hitchhiker’s Guide to the Galaxy, but with less poetry. The USG Ishimura is one such ship; a fantastical mix of space station, city, weapon, tool and Death Star. The problem with the good ship Ishimura is that no one is responding to any of the hailing frequencies. Are they ghosting you? Technically yes. You’re Isaac Clarke (yes, terrible, on the nose name, let’s move on), a ship systems engineer aboard a tiny rescue craft dispatched to the Ishimura. You land on the planet-cracker, your team immediately dies and now it’s just you against . . . whatever is out there. And what is out there, buddy, it is not great. What unfolds is not the most brilliant or groundbreaking of tales. You’re on a ship full of monsters and it is up to you to save everyone but also maybe your mind is slipping because there’s a lot of Hell-energy at play. You take on tasks around the ship and try to handle emergencies as they appear but there’s only so much stopgap work you can do for the Event Horizon. Along the way, lots of things go bump in the night and your wits are your greatest weapon. 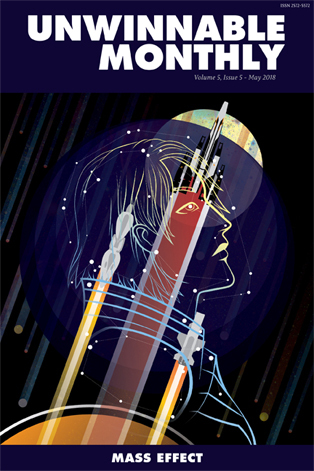 It is a great deal of standard sci-fi horror fare, elevated by a pool of brilliant choices. First off, your character is not a hero. He’s not an action star. He’s an engineer with a set of skills that an engineer would have and only the tools that match this. Isaac has an arc welder slash nail gun of sorts, and some futuristic accoutrements like the ability to slow down the time of certain objects (like doors that keep slamming closed) or to lift and transport large objects (like the various power cores you’ll need to bring parts of the ship back online). He can dabble in the technical side of things and this enables him to bring an understanding to say, reprogramming a computer, in ways that the normal action hero should never have a chance to pull off. The tradeoff is that Isaac is exceptionally easy to kill, and none of the “weapons” you acquire throughout the game ever border on anything that might resemble the traditional gun. You are, from start to finish, completely out of your element and that drenches everything in one of many blankets of oppressive structural antagonism. And by out of your element, I mean disconnected from the heroism twitch-reactionary brain chemicals that an action murder hero would have. You are perfectly at home within your scope as a scientist trying to engineer solutions while de-engineering a biological plague. While Isaac has a few plot points pinned on his outfit, like a mother pinning return home instructions on a grade schooler. You’re supposed to deal with the presence of your significant other, who was stationed on this ship. You’re supposed to deal with the well-being of your crew mates. You’re supposed to worry about your own life. If you do any of these things you will die. This is a tale of sacrifice and any investment based on emotions is to miss the functionality of the storytelling, and by extension, life itself. Function. Form under function. That’s what Dead Space is all about. The ship itself is covered in a sort of skeletal outline – a series of lungs giving life to a lifeless shell. Isaac himself is covered in a series of jutting platformed layers of sprawling skeletal outlines. There is a universal agreement of design that bleeds into function that exists from your shoes up to the walls of the planet-cracker that contains you, your regrets, your ghosts and the ghosts of everyone who came before. You are an engineer using skills over oppression. The ship itself can only bend to your will. But somehow worse in this functional discussion is the darkness that you are up against: a religious idol called the Marker was discovered and taken on board. 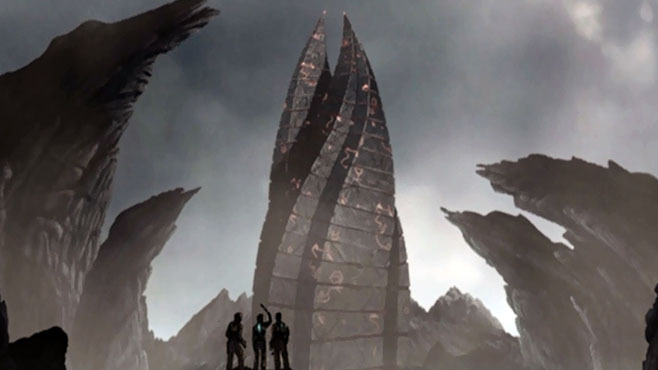 Many of the ship’s crew were members of a Scientology-lite religion that believed this heap of rocks would create a bridge between humanity and an alien race. Unfortunately, they were absolutely correct. Each human being that falls on the Ishimura becomes a breeding ground for rebirth as a Necromorph; a howling monstrosity that can only be killed when its many limbs are disconnected from its body. It flips the idea of zombie brain disconnection where, instead, dozens of bizarre tentacles must be removed to make sure the undead return to general death again. But, as stated, functional. Every bit of biological genetics is repurposed. Everything is functional. Everything that carries even the thinnest strand of life will be reimagined as a method for killing you. Your only defenses are functional, but the army of alien scream-hell you’re faced with is also wearing the faces of everyone you know. Goddamn do I wish anything I’d played in the last ten years could touch the hem of the garment of what Dead Space brings to the table. 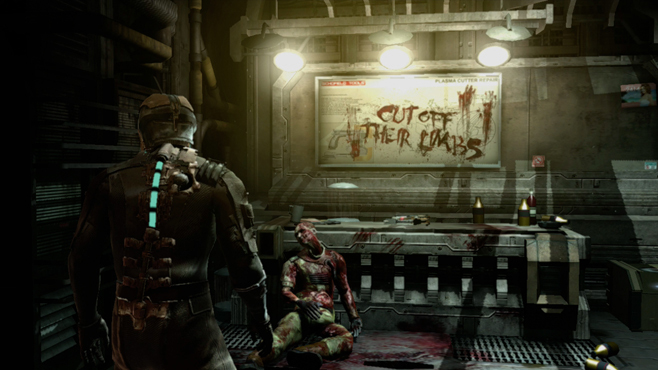 The rest of Dead Space is a dozen different things I can celebrate. The randomization of attacks means that sometimes, even on my fifth playthrough, a terrible thing will jump onto my body even when I think I’m safe in a pause state. The game itself has no heads up display, so even managing my inventory is a process of never leaving the real time game world. The godforsaken cult religion packs so much lore into one game that I am still finding surprising twists and turns that poison every character around me. And on a purely gamic level, it is perhaps the last great game of my lifetime to come from a major studio with a self-contained story and no threat of multiplayer, paid DLC or economic complication. It is pure and good and entirely what it dreamed of being. I would be remiss to not compare Dead Space to its universal sister Mass Effect. Both games came from the same studio at the same time and built trilogies about exploring dark reaches beyond what we know. They’re also philosophical flips of a coin: Mass Effect sees a universe that can achieve, through blood, a unification that will bring peace whereas Dead Space sees . . . oh crap. Okay, no, I should’ve thought that out ahead of time. But really, there is an interesting link between the two franchises. Both got mobile spin-offs around the same time, but based on the engine and the limited scope, that meant both games were about combat. Mass Effect is not about combat. And, from a perspective, neither is Dead Space. They are about violence, however, and the choices that can lead to violence. They’re also about what makes us human. And from a meta perspective, Mass Effect sees humanity as brains and Dead Space sees humanity as ability. Perhaps the space where they come together is under the umbrella of the term “cunning,” but functionality changes how that cunning is expressed. Yet it is that functionality that rules over all. The monsters use the vents of the ships to outrun you at every turn. The ghosts of your past are function abominations borne of a pillar of death living in the cargo bay. And you, the “hero,’ are a function of a dead god on a dying ship, embedded in corpses that will be used against you. 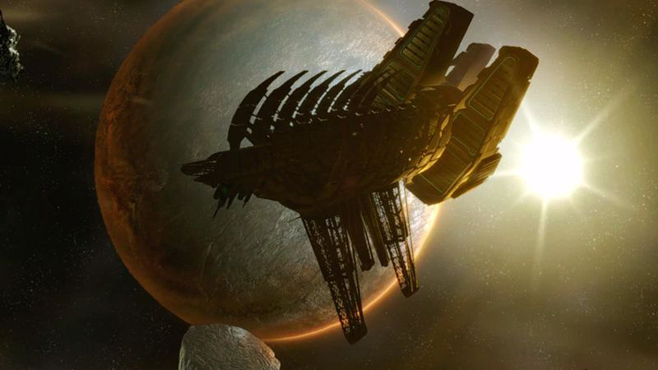 Dead Space is so forever, is so destructive, is so big . . . because it is a forever function that cannot be avoided. It is life beyond death. It is hell itself. And if you fall here, you do not just fall through the floor of forever, you become just another weapon against everything you once believed in. 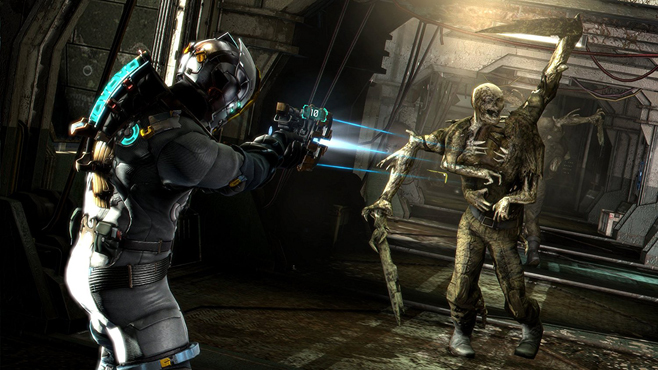 In Dead Space, death is not the end. And a game that can press your face against that threat from start to finish is both survival horror and the concept of needing to survive the horror for fear of becoming the other. I find it flawless and I hope that it holds up as well at the twenty-year anniversary as it does now in the ten-year anniversary. Where I started by asking why someone would keep coming back to an unpleasant experience, here is your answer: the beauty of this immaculately sculpted weapon will always have me under its thumb. This is artisanal survival horror and it will be my scale by which all that comes after is measured.